After dissatisfying service from a previous company, Frank switched to Innovative Basement Systems and was quite happy! Homeowners in in Wayzata, MN called Innovative Basement Systems when the floor above their crawlspace had sagged over an inch. A crew came in and installed SmartJacks to stabilize and straighten the sagging floor joists. Homeowners in Wayzeta, MN, emailed the TEAM at Innovative regarding a cracked and bowing basement wall. The home was built in 1957 and it had the cracks when the homeowner purchased the home eight years ago - but was interested in the cost he'd be looking at to correct it. Owner, Keith Johnson, met with this homeowner and educated him on PowerBrace. The homeowner was impressed not only with the product, but was shocked to see the estimate under 5K for the job. 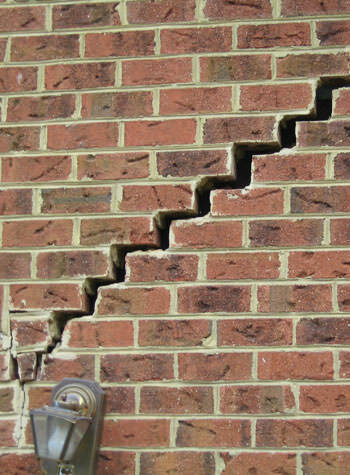 If you have bowing or cracked basement walls, call 877-365-0097 today! When it isn't possible to anchor walls in the soils outside the foundation due to properly line restrictions, we recommend repairing your damaged foundation walls with the PowerBrace Wall Repair System. The PowerBrace is an adjustable steel I-beam system with two important benefits: stabilizing bowed or tilting walls, and (over time) forcing bowed or tilting wall sections back to their original position. All PowerBrace components are manufactured to exacting standards, with an anti-corrosion zinc coating that will keep them looking like new for decades to come! House has a sump pump system but concrete floor has significant efflorescence and is dusty. The walls can get very damp and moldy if there is significant rain and have developed leaks in the past but this is not a common occurrence. Garage floor has some cracking. Having the floor coated. Coating contractor recommended we do this. 1950's tuck under garage foundation needs repair. Innovative worked on a piering project for us on a large commercial building and did a great job. Wall anchors can be tightened over time to further straighten your foundation walls and pull them back to their original position. Note the visible cracks above the tool board. Joan B. from Wayzata, MN, called TEAM Innovative after noticing water in her basement. System design specialist, Greg Grant, met with Joan and inspected the foundation and basement thoroughly. We have over 10 years of experience in the industry, and have been recognized by the BBB and Basement Systems for our service and craftsmanship. We are well-known for our engineered waterproofing products, custom designed to work well in any home. Waterproofing with our WaterGuard drainage system and TripleSafe sump pump was all that was recommended to keep her basement nice and dry. Since installation, there have been no further water issues. Another DRY basement in Wayzata, MN! 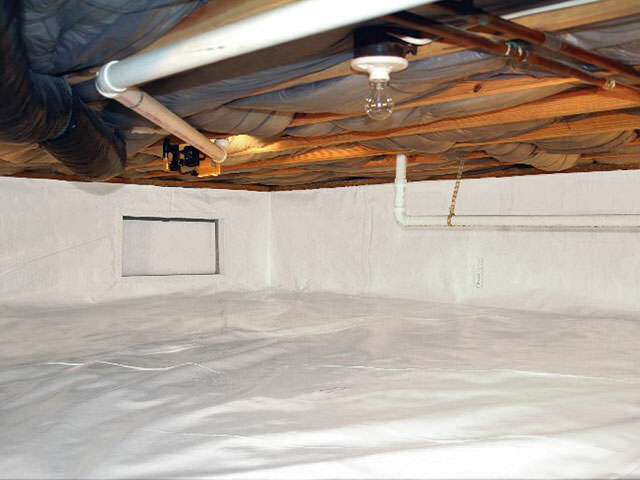 If you are experiencing water in your basement, call 877-365-0097 today to schedule your free inspection and estimate! I am purchasing a home and the inspection revealed serious cracking on a block wall in basement. It was suggested I have it looked at for suggested repairs. I'm happy to pay a fee for an opinion... need this done Monday or Tuesday. Thanks. Potential foundation issues. Basement walls are showing cracks and floor above the basement area with cracks is starting to slope. The city replaced all of the water mains in our neighborhood last summer and trenched out a large and deep portion of our front yard near our house (which might be causing our problems). Found small area of moisture in corner of basement. I am buying a home that has a crawl space on three sides of the basement. one of the crawl spaces is approximately 24'x10' and is settling back toward the house. There is one large offset shear crack in the side wall (the 10' side) near where it meets up with the basement. I am looking for a ballpark range of what it might cost to repair the foundation to prevent continued settlement.